"At Lorna Jane we employ 1800 women of all shapes and sizes, we are a sisterhood and we are passionate about empowering every woman to live her best active life. 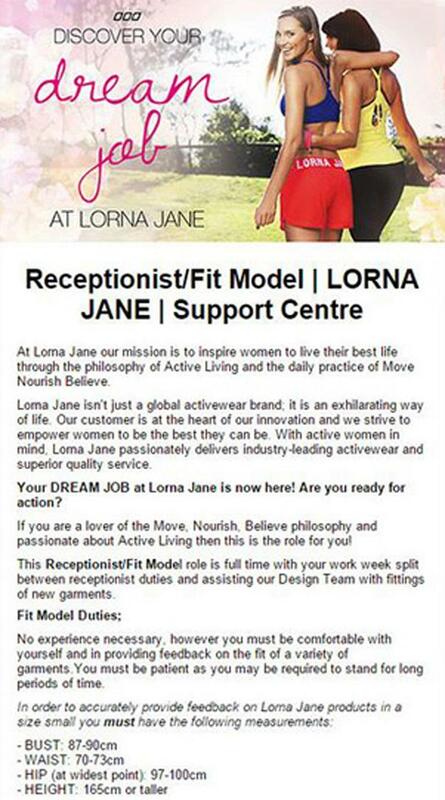 The position for a fit model/receptionist at Lorna Jane has caused some confusion and I would like to use this opportunity to be completely transparent and provide clarification. We are not looking for a receptionist with certain dimensions as you may have been led to believe. A ‘fitting model’ is an industry term used by fashion designers to check the fit and sizing consistency of a design. A size 10 (small) is used as the base pattern size and is then scaled 3 sizes up and 2 sizes down to ensure consistency across our fit. Because we design activewear, we use real women to test the function and fit of our products and give real feedback on how the garments actually feel on their body. The receptionist role performs administration duties for our business and is a key component in our customer service and feedback process. These two separate part time roles are both vacant. We chose to combine the two into a dual role to provide full time employment and full immersion in the culture and spirit of Lorna Jane for the successful applicant. I do hope this takes away any confusion and explains the roles needed to fill this position. 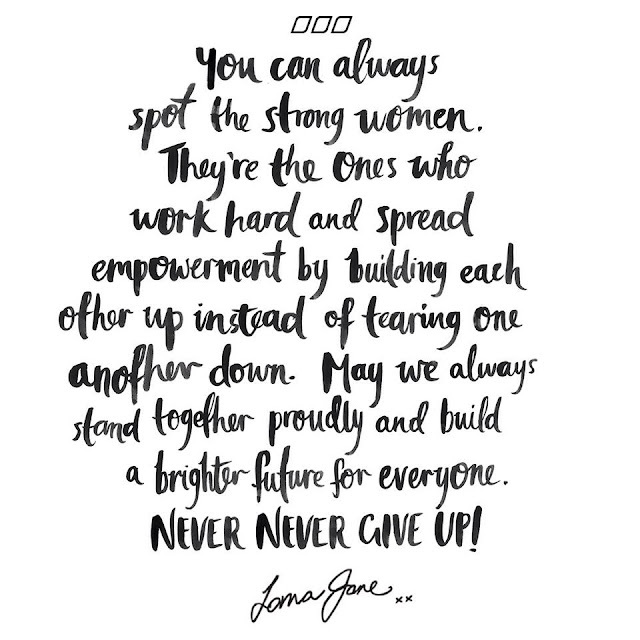 The Lorna Jane team remains focused on providing our customers with the very best products to support them in their active life. All the best in Active Living"
The ad, which specified required body measurements, was taken down earlier this week after media coverage suggested it was a way to employ an attractive, size eight receptionist and discriminated against other women. The above has been refuted by Lorna Jane Clarkson.